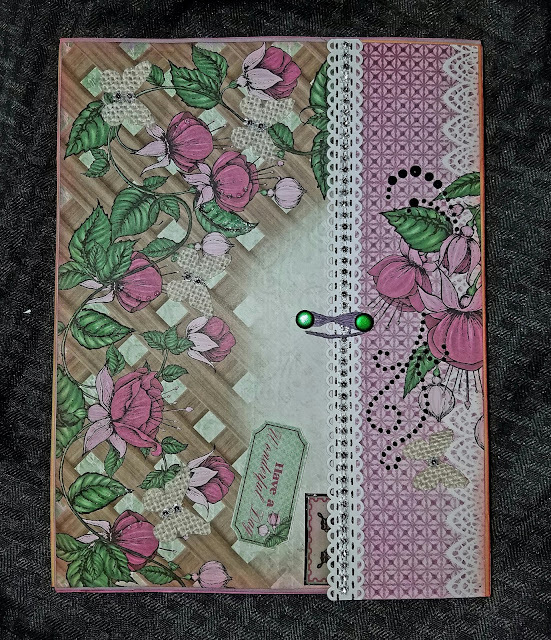 Wanted to share a File Folder, made this for a swap for one of the Face Book groups ( Mini Album Swaps and More ) that I am apart of. Love this group, the women are amazing, and very helpful. Learned alot from this group. 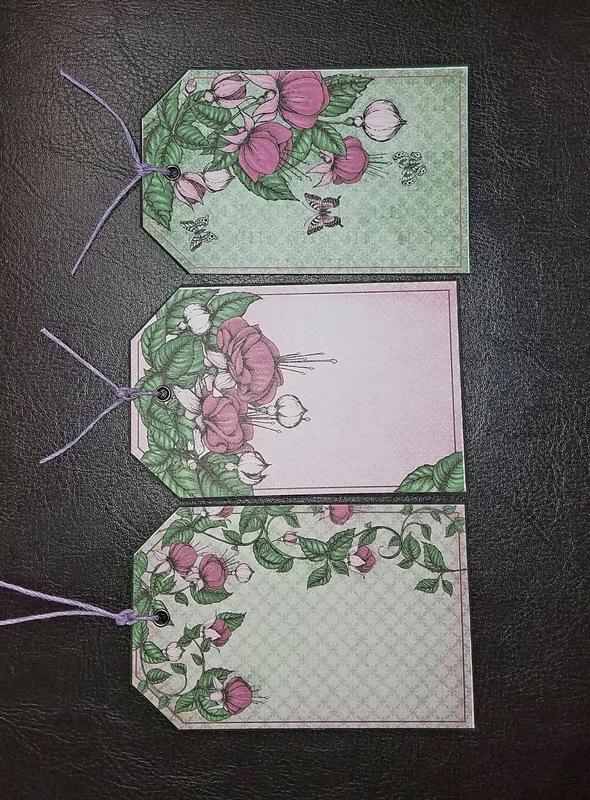 I used Heartfelt Creation card stock, this paper is beautiful. Thanks for dropping by....MAKE IT A GREAT DAY! Thank you for dropping by.....MAKE IT A GREAT DAY! 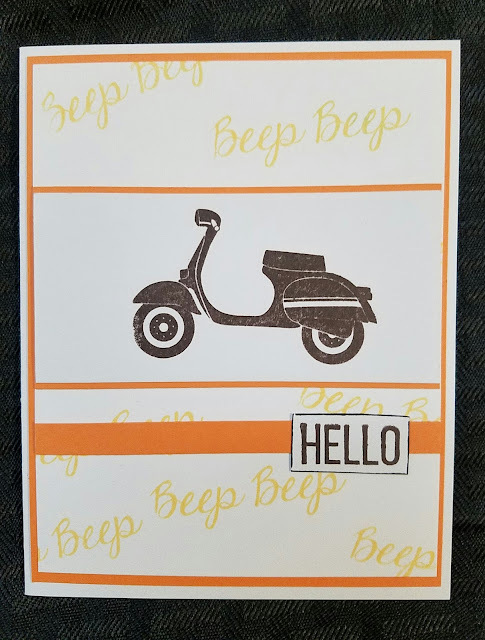 Beep Beep Stamp Set by Fun Stampers Journey. 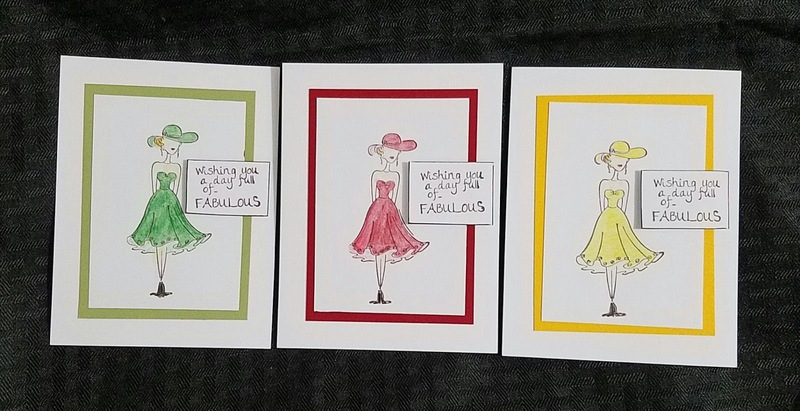 Such a cute stamp set. Sad to say its retiring. 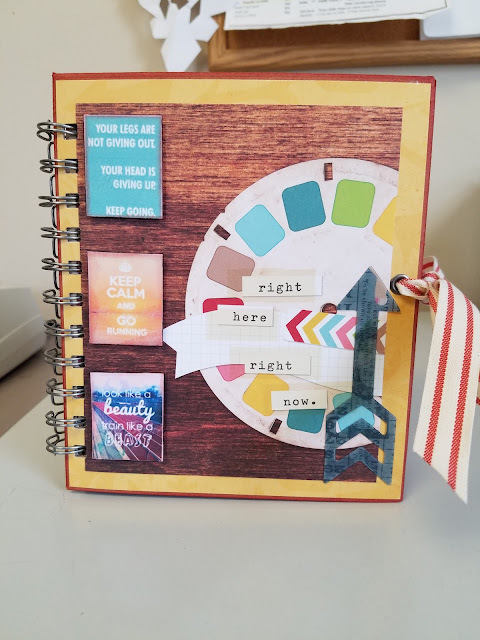 Working on a Swap with one of my favorite groups in Face Book, Coffee, Cake and Crafting. 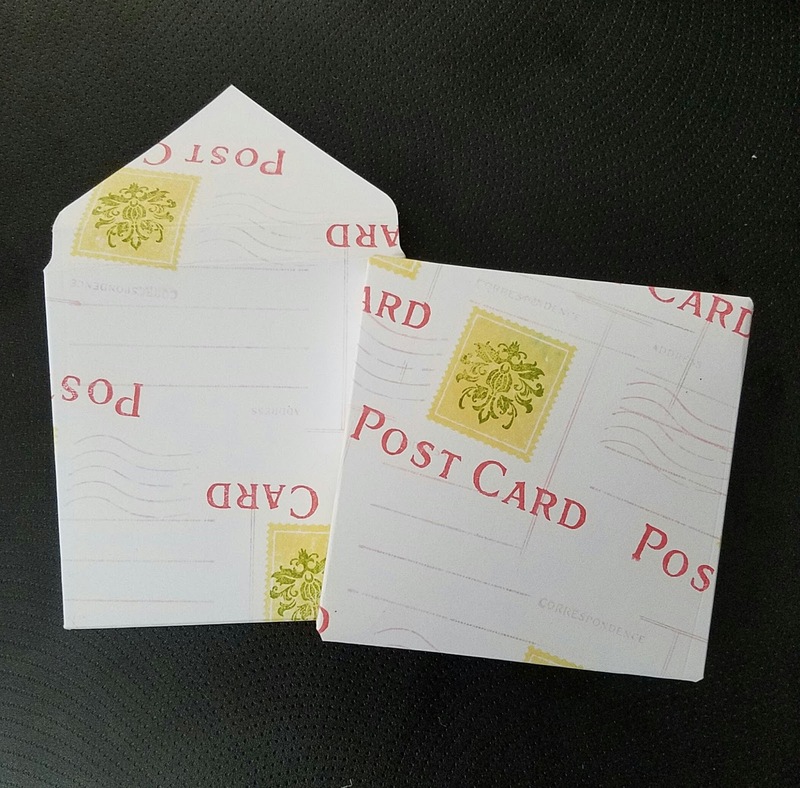 I used my 123 Punch Board to make envelope, Envelope measures 3x3. 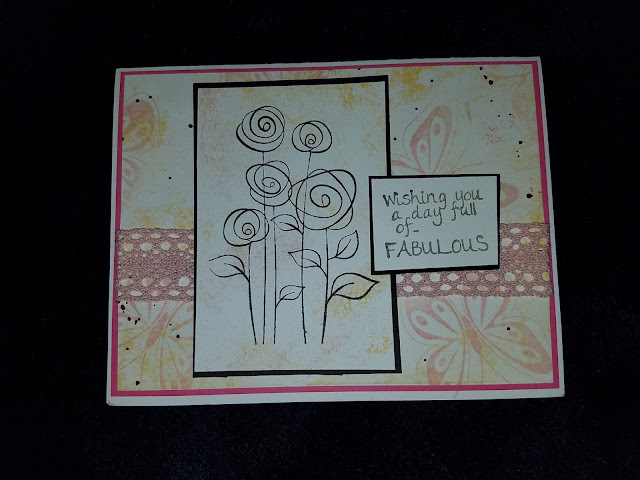 Stamped my card using Postcard Basics from Fun Stampers Journey. Thanks for dropping my.......MAKE IT A GREAT DAY! 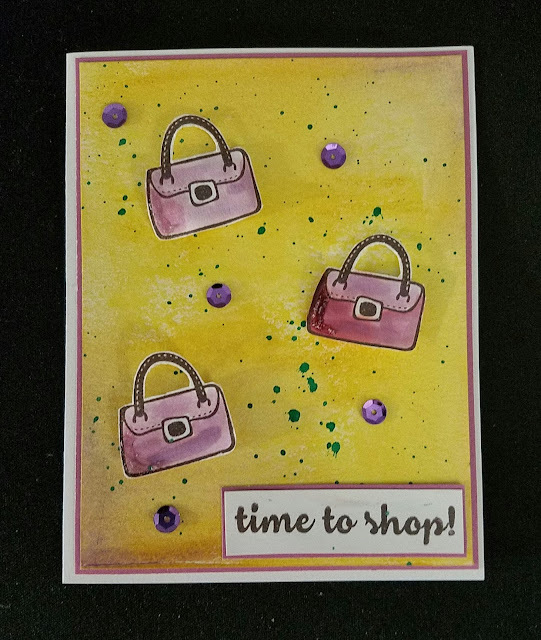 Hand Bag Stamp is from Retro Chic collection from Fun Stampers Journey. Thanks for dropping by......MAKE IT A GREAT DAY! "Welcome to our Fun Stampers Journey "April Showers" Blog Hop! I'm so happy you're hoppin' along! 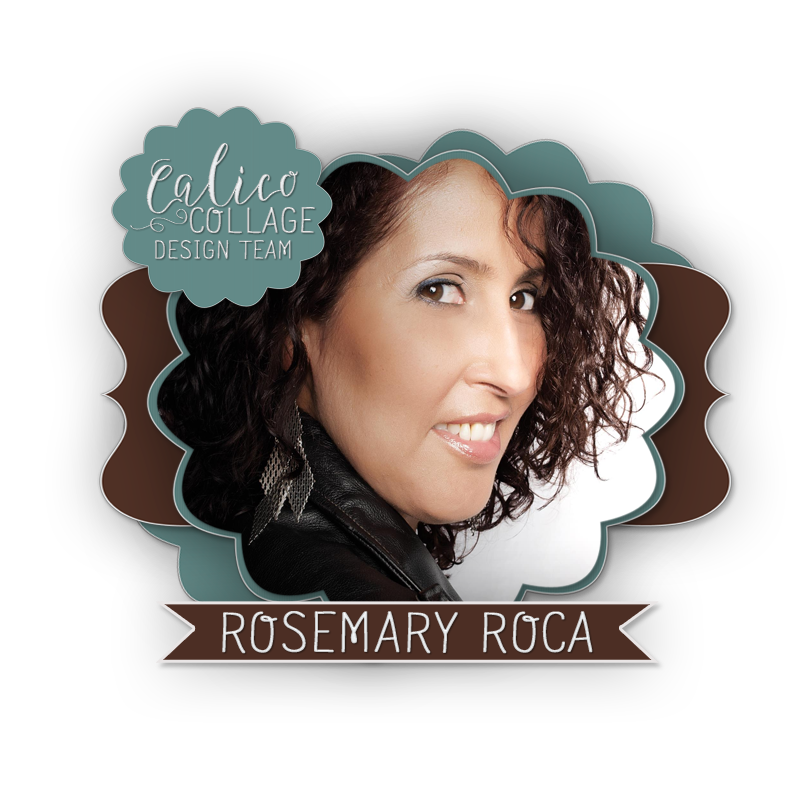 If you arrived here from Crissy Salima Rivas blog, you're on the right track. 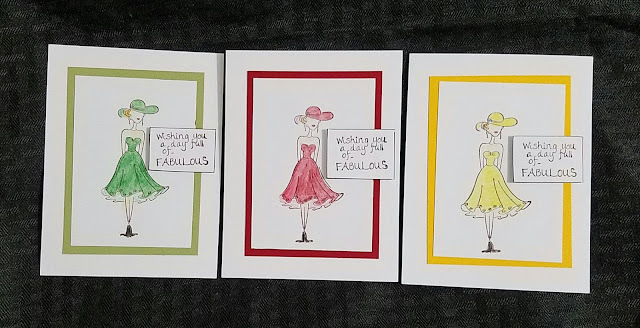 I made a card for Blog Hop! Card is layered with Watermelon Fusion, Whip cream and Black Licorice Card-stock. True Color Fusion Inks used: Pineapple Smoothie, Bubble Gum, and Black Licorice. Stamps used: Rose Garden, saying comes from Fabulous, and for the back ground I used Butterfly prints. 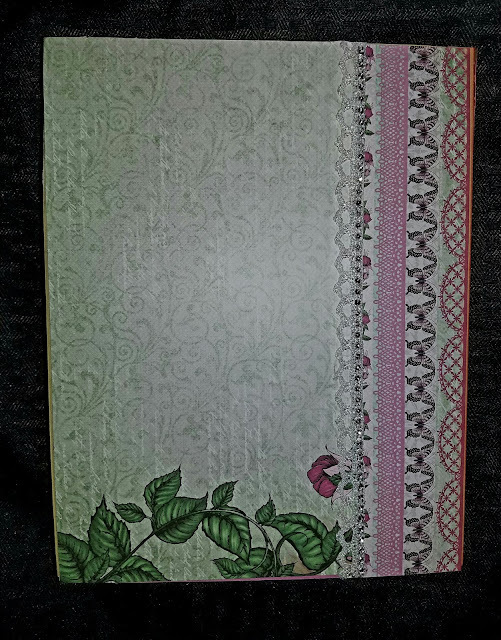 Last I added Vintage Lace to card. 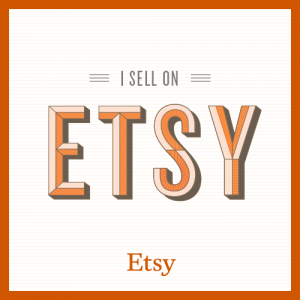 "Thanks for hopping to my blog. 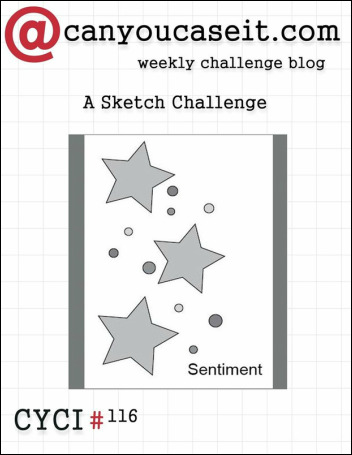 Please head over to Carol Moffet Norby blog to see what he/she has to share." I have seen a lot of pictures of Junk Journals, I have wanted to make one, so here is my version of a Junk Journal, I made this for my sister, she is a Marathon Runner, so my JJ is a Running Journal. Book has 32 pages, front and back. I added 7 acetate pages, 4 mini coin envelopes, envelopes have calendar inside just in case she wanted to circle a date. 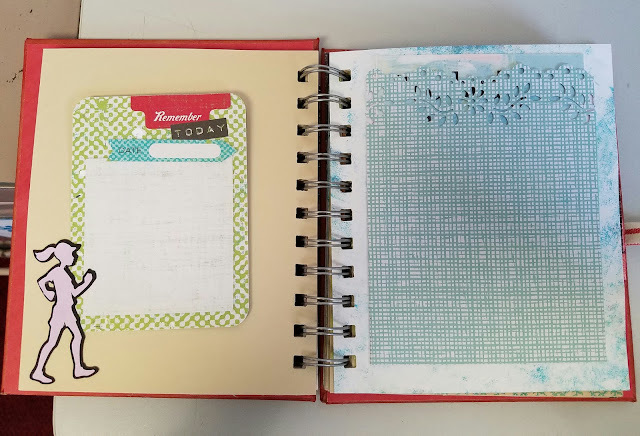 Book measures 5 1/2 x 6 1/2. I didn't add ribbon. 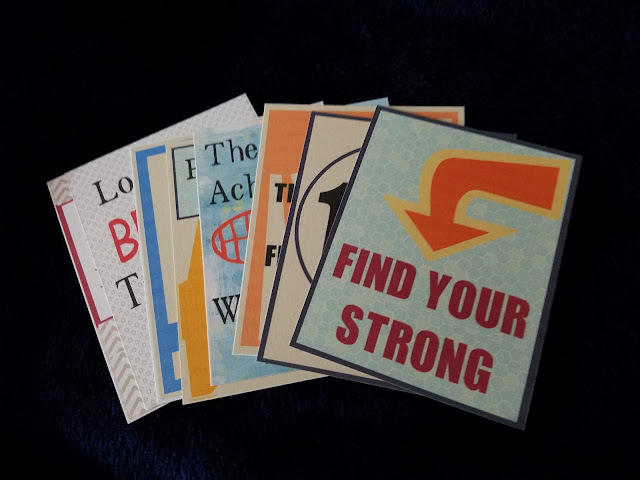 The last picture are cards I designed using my Explorer. 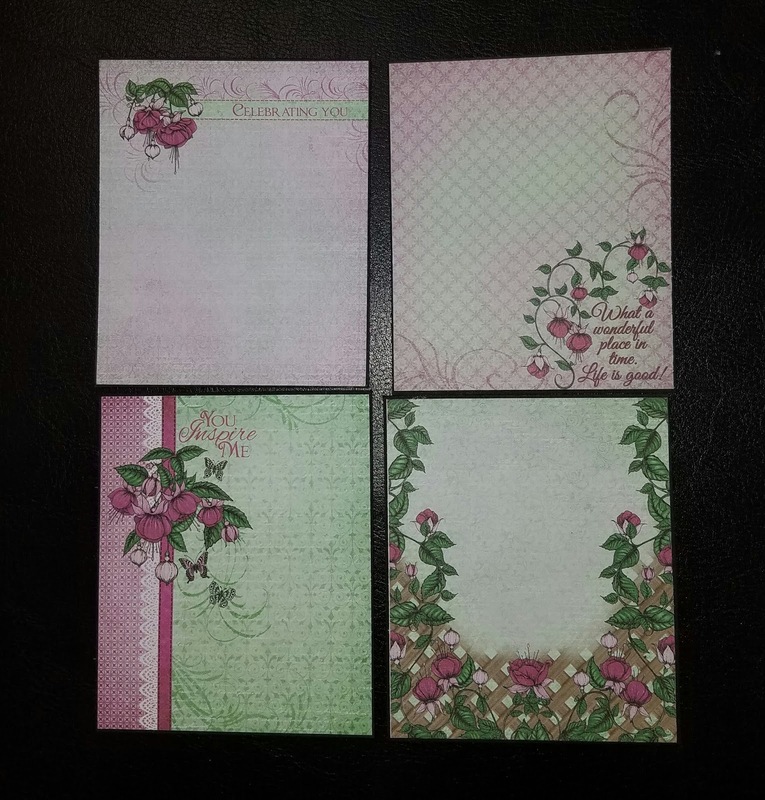 Crads can be used to journal or a picture behind. 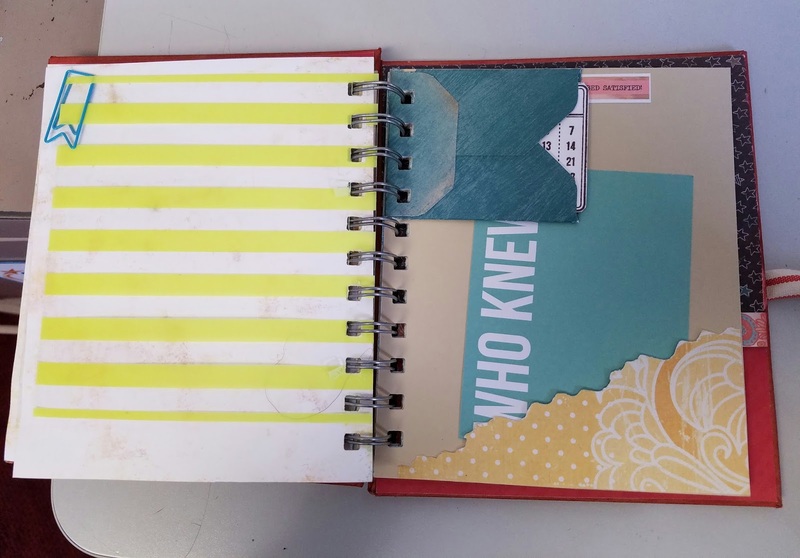 I used my Cinch to bind book. Thanks for dropping by.....MAKE IT A GREAT DAY!